In a recent poll, roughly 80% of Americans said that our government is hiding information regarding the existence of alien life. Then why is so little attention paid to reports of visitors from above? What does the media, and more importantly the government have to gain by keeping this information from ... More us? Since the Roswell "incident", a grass roots movement has sprung up worldwide asking these very questions. People are demanding that governments release any "secret files" regarding alien occurrences and slowly nations have responded. So far, 40 countries have opened their alien files to public scrutiny, including Canada, France, England and Japan. Even the US, long known as the stingiest country in terms of releasing sensitive documents, has begun to share its alien case files. 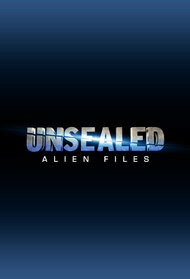 Unsealed: Alien Files is a ground-breaking new show that shines a light on many of these archived alien documents. Each week Unsealed will tackle one compelling alien case by opening these previously off-limits secret files. Based on the newly discovered information we will re-examine evidence and follow developing leads. Unsealed will investigate mass UFO sightings, personal abductions, government cover-ups and breaking alien news from around the world. Thanks to advances in technology, the computer age has created a new type of conspiracy. We will delve into the "photoshopping" of space, the value of Wikileaks, and the role social media plays in alien stories. Finally, we will examine these newly released documents to see how alien visitations may have affected our past, and what influence they may have on our future. The show will feature cutting edge graphics, engaging music and a fast, energetic style that will appeal to both alien experts and novices alike.  Unsealed will have believers wanting more and skeptics questioning their long held beliefs.